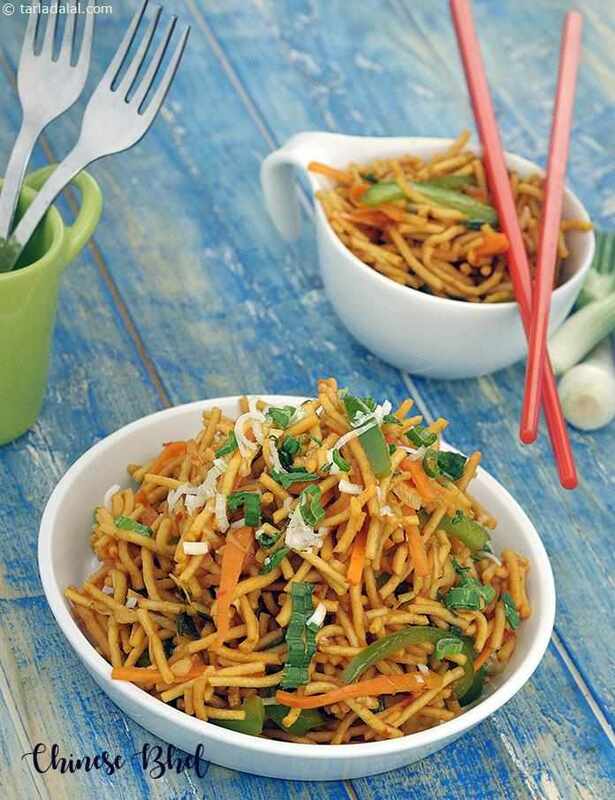 Bursting with flavour and resplendent with the bright colours of stir-fried veggies, Chinese cuisine is very exciting. Since it is nice and spicy, it also gels well with the Indian psyche! No wonder, it is the second most popular cuisine in India, and is easily available in most eateries, ranging from roadside vendors to posh restaurants! Both kids and adults love Chinese cuisine, and relish every mouthful! The Chinese repertoire, like the Indian counterpart, has a large variety to choose from. Ranging from starters and rice to soups, noodles and vegetable preparations, there are several dishes to choose from. Generally, cooking time is low in Chinese cooking because food is not overcooked. It is only cooked to the stage where the bright colour and crunch of the veggie is still retained. This is not only quick and easy to cook but tasty as well. But, what is more important in Chinese cooking is chopping the veggies perfectly. You need to chop them real fine. Getting the perfect cut requires a bit of practice, but it is worth the effort. Everybody loves Chinese food but is worried about eating outside, because many eateries tend to add a chemical ingredient called ajinomoto (MSG) to boost the flavour of the food. However, this is detrimental to health and discourages health-conscious people from eating Chinese food outside. So, when your friends find that you are serving safe Chinese food without MSG, they will be delighted to partake of it! When finalising the menu, go for a mix of popular dishes like Manchow Soup, Veg Crispy, Spring Rolls, Veg Manchurian, Schezuan Fried Rice, American Chop Suey and Spicy Stir Fry Noodles in Schezuan Sauce as well as lesser known delights like the Burnt Garlic Fried Rice and Honey Noodles with Vanilla Ice Cream. You can prepare the ingredients and sauces well in advance, but avoid cooking the food too early because you will lose the vibrant colours and crisp texture. Cook it just before your party and warm before serving. 12. Here are some awesome recipes to make your Chinese party a great success. You can also find more such options on tarladalal.com. Chinese cooking is almost synonymous with hot garlic sauce. Here, the sauce joins hands with baby corn and other interesting vegetables to provide an enjoyable dining experience.